This dish is actually called a Fool. Yeah, yeah, snigger childishly all you like, then Google the name! The dish dates back to the 16th century when stewed or macerated fruit, (generally gooseberries) was mixed with custard. Lovely though custard is, nowadays heavy whipped cream is used. This makes for a quick to make dish that looks and tastes delish. It’s almost a crime that it’s good for you. Another guilt free desert for Primal eaters! • Whip cream, using either a hand whisk or electric beaters, until soft peaks form. • Add maple syrup and whip until stiff. • If using fresh berries – Slice large berries, add 1 tbsp water and poach on a very low heat until tender, mash. • If using frozen berries – Thaw berries and mash. • Fold berries through the cream. • Taste for preferred sweetness. • Place in freezer for approximately 30 minutes. • If you like the texture to be like firm ice-cream leave longer. • Remove from freezer and do a final mix through. 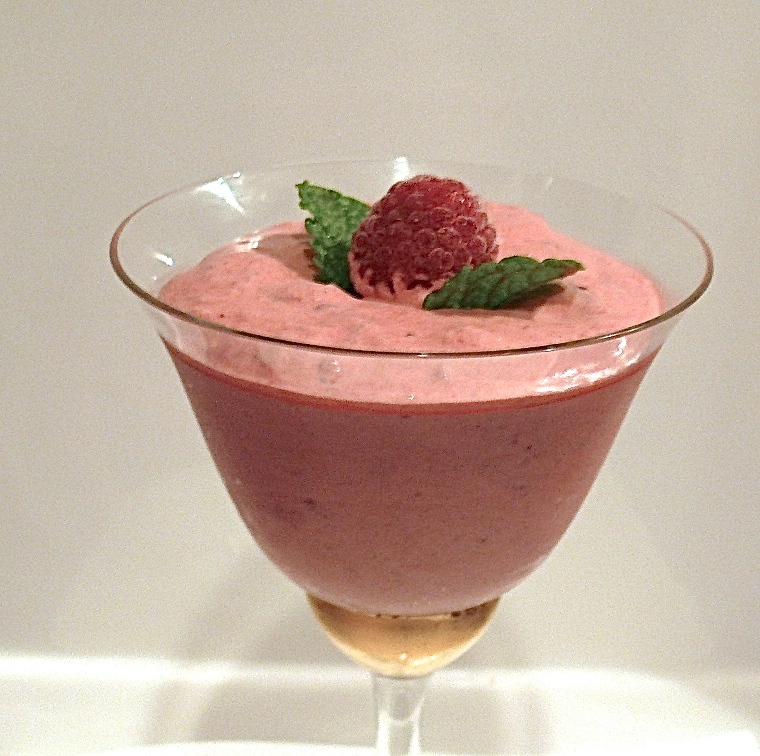 • Serve garnished with mint and fresh berries. My sister introduced me to this dish, she is a Primal convert as well as a cooking teacher. So not a week goes by without her cooking up a Paleo/Primal storm by adapting old recipes. She constantly supports and encourages me with this blog and you will see more of her recipe adaptations over time.